In his article, It Is Not Over, Chuck Baldwin writes that everywhere he goes, he meets people who seem to believe that it’s all over, that there is no hope, that freedom is forever doomed. The doom and gloomers are omnipresent. But there is a great line in the newest version of the movie “Red Dawn” that should help put it all in perspective. One of the freedom fighters says, “I’m still breathing so, it’s not over.” I love that line. I feel exactly the same way. There is no question that the forces of globalism and socialism have pretty much had their way over the past few decades. And with very few exceptions, we don’t have a lot of allies in Washington, D.C., and in most State capitals. For that matter, we don’t have a lot of allies on Wall Street or in most classrooms. But that doesn’t mean that it’s over – not by a long shot. Freedom didn’t have a majority in 1775 and 1776, either. I doubt that one could find any time in history when the proponents of liberty were ever in a majority. However, there is one thing that Colonial America had that modern America doesn’t have – a patriot pulpit. The pulpits of Colonial America were ablaze with the fire of liberty. 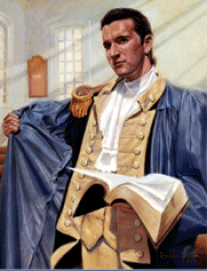 Colonial clergymen of every Christian denomination explained, extolled, enlightened, expounded, and elucidated the Natural Biblical principles of liberty from their pulpits continuously. Can you imagine how history would have been changed had all of the churches of Colonial America been occupied with the kinds of ministers we have today? I can tell you this: there would have been no Lexington Green and Concord Bridge; no Bunker Hill; no Valley Forge; no Declaration of Independence; no U.S. Constitution; and no United States of America. And that is an absolute fact. The erroneous interpretation of Romans 13, so prevalent today among pastors and churches, would have instructed the colonists that it would be a sin against God to rebel against King George. Pastors would have taught their congregations to be good little slaves to the Crown. Without a doubt, had Colonial America had the kinds of ministers we have today, we would still be a subjected colony of Great Britain to this very hour. 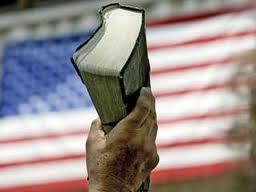 Today’s pastors lack the “moral force” of that patriot pulpit. For the most part, America’s pastors today are shy, sheepish servants of the state who choose to follow “political correctness” instead of the Word of God, with the “faithful” pew potatoes hanging onto every lie. We, meaning every person who wants their children to grow up with the freedoms we enjoyed, must get involved in building the foundations of a movement to take America back. We’re not out numbered – we’re just out maneuvered. America is in a state of decline. Tradition family values are eroding, public education has failed and corruption is rampant in all levels of government. We need to stand up for the traditional values and principles that has sustained our country for over 200 years – family values, honesty, morality, respect, accountability, personal responsibility, conservative financial values and a capitalist society. It’s time to get the gray matter out of neutral – stand up and be counted. Do not surrender to the left! You cannot legislate the poor into freedom by legislating the industrious out of existence. You can’t multiply wealth by dividing it. Government cannot give everything to everybody without taking it from someone. Subjugation to government is slavery.